Motorola is now rolling out official Android 8.1 Oreo OTA update for the Moto G5S and G5S Plus. This is the stable version of the update and not the soak test. We already have Motorola’s Beta soak test for the Moto G5, G5 Plus, the Moto G5S and G5S Plus. Now, the manufacturer is sending push notifications to users about their new stable Android 8.1 Oreo firmware. Luckily, users of Moto G5S Plus have been successful in capturing the OTA update from different regions and share the download links. So download and install Android 8.1 Oreo for Moto G5S and G5S Plus. 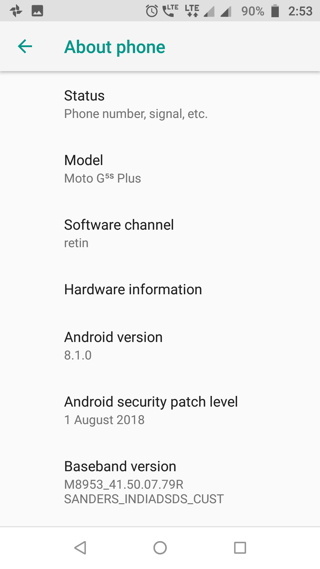 The new firmware update for Moto G5S Plus is still based on the August 2018 Security Patch of Android 8.1. The OTA also features a new software version (build number) OPS28.65-36 for Moto G5S Plus as opposed to the build OPS28.85-13 that came for the Moto G5 (Plus). There is not much of a changelog from Motorola as of now. It sure features all the Android 8.1 Oreo goodies, new and updated Moto stock apps, bug fixes, and stability improvements. On the contrary, Motorola may start recruiting for the upcoming Android 9.0 Pie Beta soak test as well. So you better sign up for Moto’s Soak Test so you get Android P before anyone else. This goes for all the Lenovo-Motorola mobile phones. Meanwhile, update Moto G5S (Plus) to Android 8.1 Oreo via full stock firmware (Fastboot zip) and OTA update zip from the stable channel. Following are the fastboot zips (full stock firmware update) as well as the OTA updates for the Moto G5S and G5 Plus with new firmware build number OPS28.65-36. Currently, OTA zip for only Brazil and Indian variants of Moto G5S Plus and Montana variant of Moto G5S have been captured. So download and update now! As for the Moto G5 Plus, we have captured the OTA update as well as the fastboot flashable firmware. Both need different installation methods. 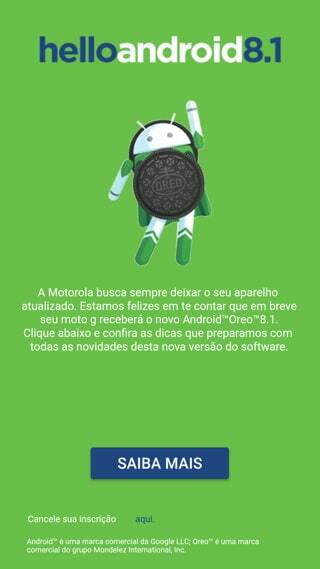 As for the Moto G5, here is the latest Oreo OTA update zip. This has been tested working for device on April 2018 Security Patch. How to Update Moto G5 and G5 Plus to official stock Android 8.1 Oreo? The easiest way is to do an OTA upgrade. Note that this is full update zip. Best part is you will get future OTA updates because it is official and not a soak test. Download the Moto G5S (Plus) OTA zip file from above. Transfer the file to phone’s internal storage. Provide storage permission to Motorola Update Services app. Check for OTA updates from Settings. The package will be automatically detected and system upgraded. Download the Moto G5S (Plus) OTA update zip file from above. Transfer the file to phone’s internal storage or sdcard ( in /sdcard/ ). Turn off your phone completely. For this method to work, you will need the fastboot zip for you particular variant. This will perform a clean installation and factory reset your phone. So backup. See method 2 in this tutorial on how to install fastboot firmware on Moto devices. I have no app named “Motorola Update Services” . So, how do i update my phone. 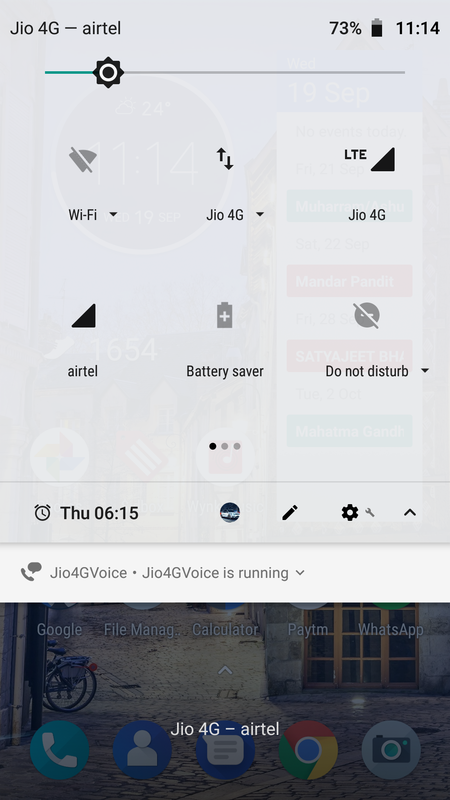 In Apps – Goto 3 dots menu and click on ‘Show system’, it will show you Motorola Update Services app. Once you successfully update, post your comments. is this the final soak test or the offical release? I have download the file 2 times but still not able to update…Please help me. Now My Phone is updating. from link shared on above blog. is this 32bit os or 64bit? and also does anyone experience issues with google keyboard? 1) will I continue to receive the official updates? 2) I’m receiving a Advertisement kind of thing after few mins. Anyone else too? I have downloaded the zip files as directed above but still not received any OTA update. I tried installing the update via OTA method. And it worked. My phone is stock. Not rooted nor have custom recovery. Thanks for update. I could successfully update my Moto G5S Plus to Oreo 8.1. 2)Moved the zip file to internal storage. 3)Granted storage permission to Moto Service Update App. 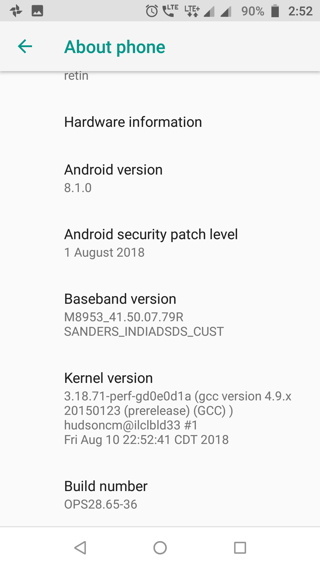 *Before update my phone was on latest security update of June 2018. Update took about 30…35 minutes. Did you find any advt bug? Advt popping after every 10-15 mins? And why is it showing Thursday in the screenshot? No advt pop-ups. You might be receiving the pop-ups due some other 3rd party app. Next time if you see pop-up, immediately open “recent apps”, you will come to know which app is giving you advt pop-ups. The “Thus 6.15” that is my alarm, which is displayed on the status bar/notification bar/drop-down list. Hey guys is it official or pre-release?? In above screen shot its shows kernal version prerelese? For moto g5s plus !! Please conform guys??? 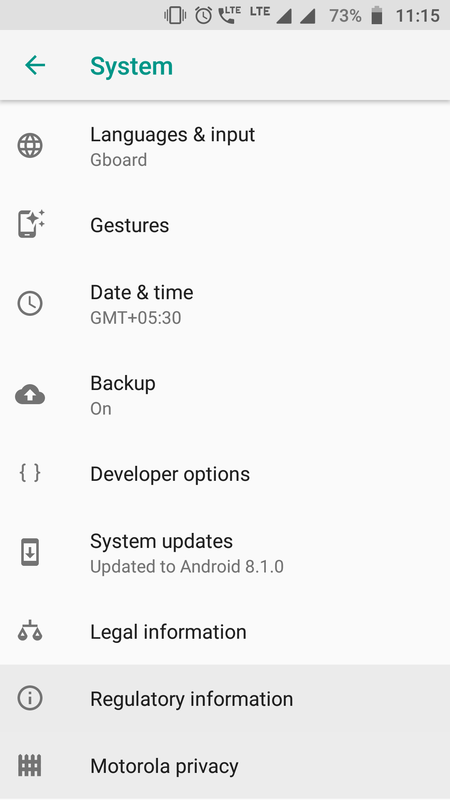 Any idea if we will receive future updates after installing this one, I know its too optimistic thing to imagine from motorola but still security updates. i am using moto g5s..bt thats not working for me…can u help me?? Which one is the link for moto g5s plus? I updated my mobile today through this process post update power and volume button are not working. Any one else facing the same issue? Also if anyone can tell me how to roll back to Android 7.1 (previous version). Thanks in advance. Also let me know once official roll out is available, can we also get the same? 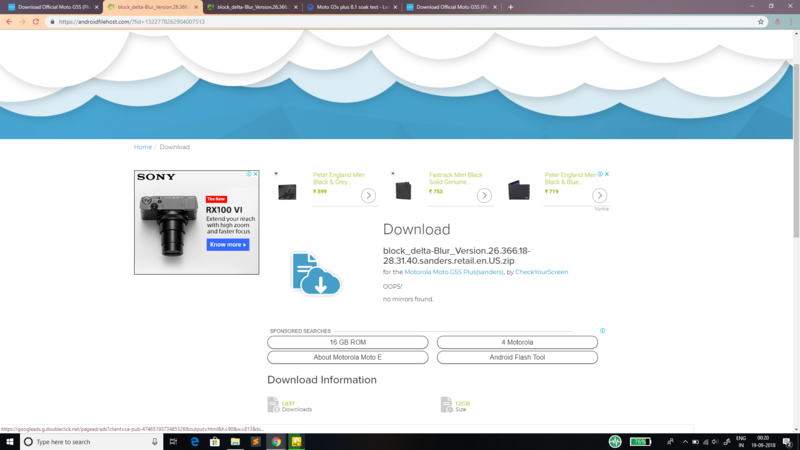 I have been trying to do it from past 2 days, I downloaded 2-3 files but still I’m not able to get it. I kept the download file in internal loval and allowed oermisperm to Motorola update service app! I’m from Poland in Europe. I have model XT 1805. Can I install Brazil or Indian version ? Maybe I should wait for European version ? my build number is NPSS26.116-61-11. what do i do?????? Is there any other mirror or server which is fast for India? Hi all, I need a help in updating my Moto G5S Plus device. Actually I have manually updated my device with soak test build. Now I’m not getting OTA update and also I can’t able to update manually with the downloaded OTA update. Even I have tried “Method 2: OTA update” but it shows as Signature verification failed.